Coded by Kids students had the opportunity to try out augmented and virtual reality. When Sylvester Mobley was a kid, he used to visit Jefferson with his father as he did rounds in the hospital as the director of pediatric intensive care. It was a way for the two to spend time together, and for the younger Mobley, it was a study in what it took for a black man to make it—and excel—in a space where few others looked like him. Years later, Mobley founded Coded by Kids to help Philadelphia students from backgrounds underrepresented in tech get access to tools, training and support. Starting with one student at the rec center that his own kids attended, Mobley grew his vision and programs exponentially. Today, the nonprofit provides a project-based tech curriculum at more than 30 sites, including rec centers and schools in Pennsylvania, New Jersey and Delaware. He draws on his passion and some 2,000 hours of time donated by tech experts to teach, mentor and advocate for kids as they move from students to developers. Coded by Kids helps students from backgrounds underrepresented in tech get access to tools, training and support. 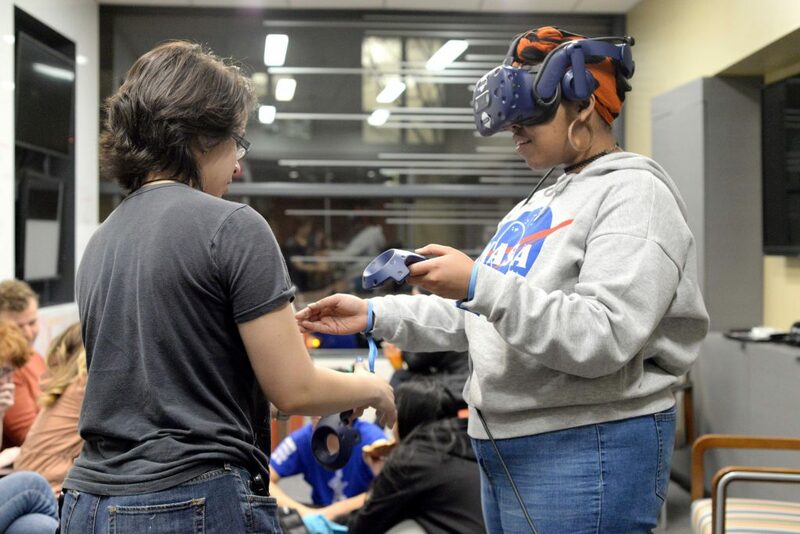 In February, Mobley returned to Jefferson with a group of more than 25 middle- and high-school students for a night of mentoring with the Digital Innovation and Consumer Experience team. 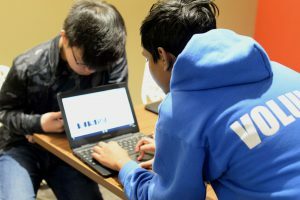 As part of Coded by Kids’ Ctrl+Shift 2019 coding competition, the students were tasked to build the best website—one that challenges them to use technology to help them interact with their communities. After Giao Dang, a digital experience design lead from Jefferson, introduced the evening’s mentors, the students explained the purpose of their websites. One group wanted to build a site to help teachers connect with students who have questions on their studies, while others wanted to create sites for tech and art news. Jefferson mentors then matched up with student groups. Jefferson web developer Rachel Bitting asked another group of students whether they intended to lay out their web pages as a square or more of a scroll. “You generally want to plan that out before you get started,” she offered. Downstairs, Tim Moyer, lead for Jefferson’s extended reality lab, set up augmented and virtual reality systems for the students to try out. Augmented reality is a field seeing a resurgence of interest by tech companies, and with that attention, comes a demand for skilled coders and designers.